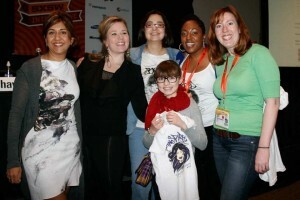 The Tech Superwomen SXSW Panel and 12 year-old blogger Isabetta Bleu Herrera Grant. Isa was brought to the SXSW session by her dad. Photo credit: Ludvik Herrera Photography. 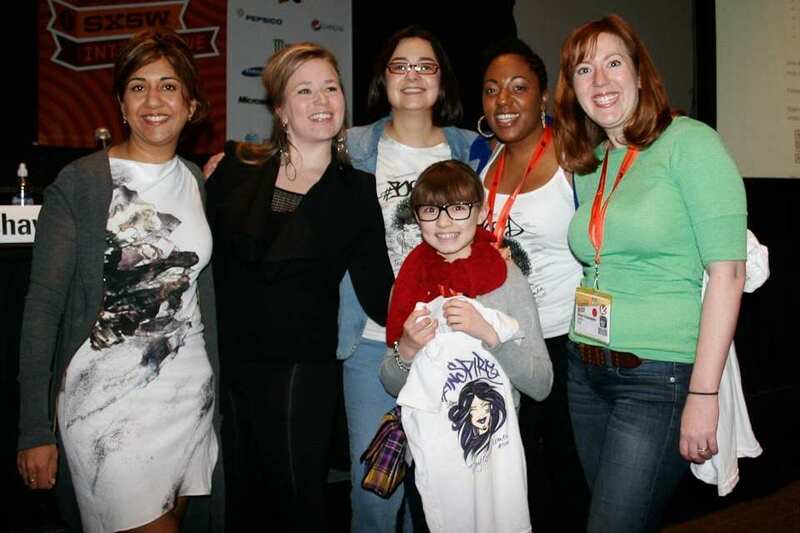 Five tech superwomen banded together this past March at the SXSW Interactive festival to make the case for mentorship and the critical role we all play in increasing the number of women in the tech industry. Here are five of the critical frames and takeaways the panel shared. You can also listen to the audio recording of the panel that’s posted on the sxsw website. Do we need more women in Tech? Nilofer Merchant made the case right at the start of the discussion with a look at the stats that document the four places women are underrepresented. Leslie Bradshaw provided a great frame for looking at mentors by going back to the roots – the latin roots – of the words. Margot Bloomstein pointed out the benefit to the bottom line of your business and industry – mentoring makes sure you have a competent talent pool from which to select down the line. My advice? Ask and ask again. Take bold risks and never say no to yourself. Even if the ideal mentor lives far away, use social technology platforms to build and maintain relationships with mentors and advocates. Ekatrina Walter reminded us all of the role fear can play, challenging everyone to “fail their way to amazing” and to keep a generous sprit, because that is what ultimately fuels the relationships that open doors and create possibilities. Thanks to everyone who attended (our 500 capacity room was packed!) and contributed questions and insight. Did you attend? What was your favorite takeaway? Also, special thanks to Meshin for sponsoring the Tee giveaways, check out the pinterest board for great shots of these limited edition Tech By Superwomen tees, featuring artwork by Maria Toofly Castillo.